Your grandparents, that guy at uni whose pants are too baggy and every person at a house party. What exactly do these people have in common? Chances are they probably shoot film. And why shouldn’t you? Or more importantly, why should you? Most people if not everyone can credit their love for film to the aesthetic. Film captures light and colours like nothing else. Sure you can imitate it but deep down it’s just not as good. Let’s be honest, that VSCO grain just isn’t cutting it. Apart from the look, it slows everything down. In a world of instant gratification - I know this sounds more like a con than a pro - but taking a photo of a friend, waiting until you finish the roll, taking it to a lab and waiting to finally getting the scans back is an extremely rewarding process. Buying a film camera can be as easy as heading down to your local Op Shop; but if you’re after something a little bit more specific that’s tailored to your needs and more importantly reasonably priced, you might run into some trouble. Obviously with popularity comes a hefty price hike. Now popular cameras that once cost a couple hundred dollars 4-5 years ago have most likely doubled, if not tripled in price. However there’s always cheaper and sometimes better alternatives, plus the occasional TradeMe/eBay steal. 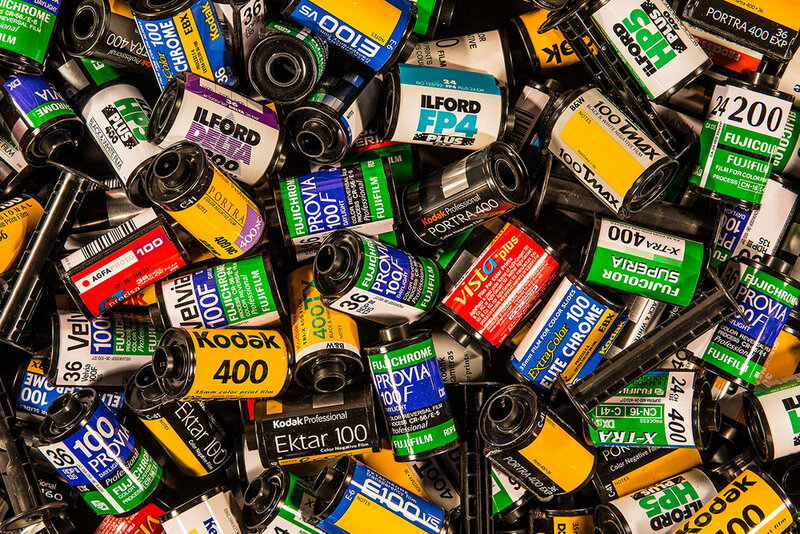 So, what do you want to get out of shooting film? From catching drunk memories to shooting editorial work, we’re going to cover four 35mm cameras from two different categories – Compact/Point & Shoot and SLR. As the name suggests, you point it and shoot it. Compact and lightweight due to the lack of internal mirrors. These cameras are the perfect “on the run” cameras. Typically taking a small battery found at most camera stores or labs. 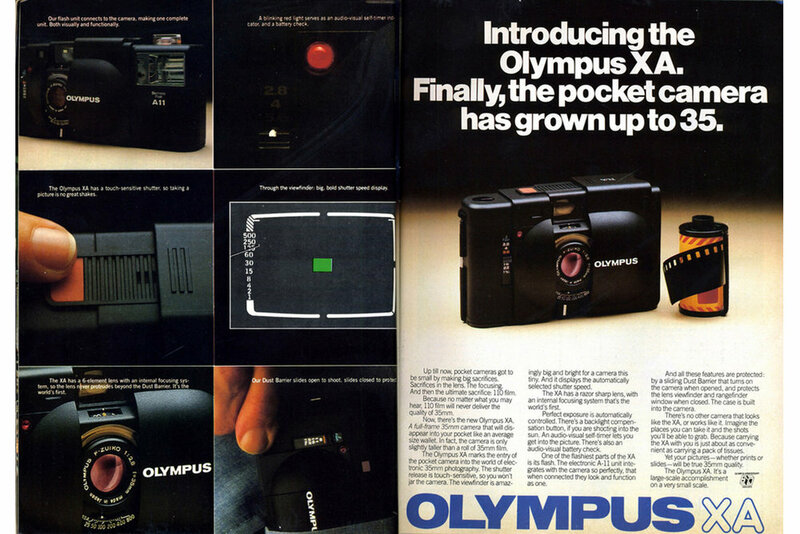 Japanese camera-maker Olympus introduced the first (and to some, the most enjoyable) camera from the XA range in 1979. A 35mm compact camera equipped with a true rangefinder focusing mechanism, which made it one of the world’s smallest rangefinders. This pocketable camera has a 35mm lens attached and has the feature of allowing the user to manually select the aperture from f/2.8 to f/22 using the dial at the front of the camera. A camera released in 1990, the T2 was the second release of the Contax T series. A beautiful high end compact camera with a titanium body, hence the T in T2. However the stand out point of the T2 is the lens; sporting a 38mm f/2.8 Carl Zeiss T* Sonnar lens, similar to something you would find on a high-end SLR model at the time. With majority of point and shoot cameras, it really is as easy as pointing it towards your subject matter, pressing a button and letting the camera do the rest. However the T2 features 2 modes, Aperture Priority and a Programme/Auto mode. Set the lens to 2.8 for Programme (Auto Aperture & Shutter Speed) and everything past that will prioritise the selected aperture and automatically select the recommended shutter speed. You’ve heard of a DSLR right? Well the ‘D’ stands for Digital, so let's get rid of that. The difference between a Point & Shoot and an SLR - apart from the obvious look change - is the internal mirrors that allow you to see straight through your lens. What you see is what you get. The K1000 is a fully mechanical and fully manual 35mm SLR, apart from the built in light meter. From the moment you pick up this camera and load it with film, it’s ready to go. It was introduced in 1976 and finally discontinued in 1997, going through slight changes in material and quality as production shifted from Japan to Hong Kong and lastly China. A quick way to ensure you get one of the better Japanese made models is looking for “Asahi” on the front camera branding. A fully manual camera can seem daunting to someone new to film, with no “auto” modes as a safety net to protect each valuable frame of your film. This is true to an extent; however many believe a fully manual camera is the best way to learn the fundamentals of taking a good photo. Having no safety net forces you to learn the basics of exposure and lighting situations and if you’re still not feeling right about hitting the shutter button, you’ve got the light meter to back you up. 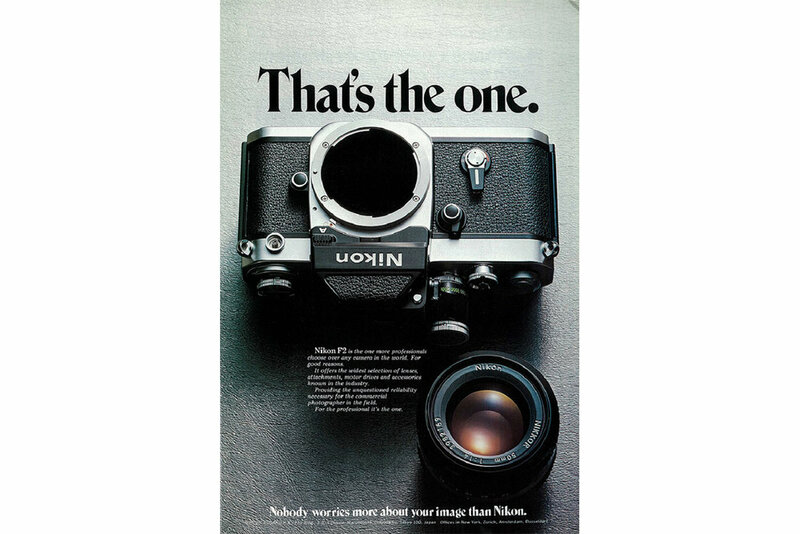 The Nikon F2 is a serious contender in SLR cameras for quality, performance and when paired with one of the Photomic Finders becomes convenient and versatile. The Photomic Finder incorporates a precise metering system which works with the F2’s lens aperture and shutter speed controls turning this full manual camera into a quick shooting machine. Said to have had more than 800,000 made, the F2 was a workhorse for most in the 70s when it was introduced. At first glance this camera can seem complex; the viewfinders themselves are a lot to take in and an instruction manual can and probably should be used to wrap your head around it. Even then, nothing seems cluttered. Everything has its place and if you put the time in to learn the camera it will happily look after you. Loading your camera with film is potentially the most important step if you want to take a picture in the first place. For all the cameras recommended and most readily accessible cameras, 35mm film will be used. Each film stock has different characteristics and can be made for specific environments/situations. The format of the film needed will be dependent on the camera itself. Film speed is another important thing to take into consideration. This is how the film’s sensitivity to light is measured, you probably know this as ‘ISO’. In short, films with a lower ISO are better suited to bright lighting situations as they are less sensitive to light. Harsh sunlight for example, ISO 100-200 is your best bet. The more the clouds roll in slowly move up to ISO 400, as the sun goes down and slowly disappears you can make your way up to ISO 800+. When it comes down to it, whatever film stock you choose to use is completely up to personal preference; but a small guide on where to start won’t hurt, right? When it comes to colour negative film, the crowd favourite is Portra nine times out of ten. As the name suggests, it works wonderfully for portrait photography. High sharpness combined with a very fine grain plus it’s naturally reproduced skin tones make it a winner in everyone’s eyes. It’s hard to go wrong with this film stock, some good natural light will take you far with Portra. HP5+ is your standard medium contrast, fine grain black and white film. With a wide exposure latitude it makes this film perfect for beginners. But why shoot black and white film to start with? Apart from the aesthetic of black and white photos, it also helps you nail your exposure better. You’re forced to know where your lighting is coming from and it how it will affect your image at all times. Granted you do the same with colour film, but you have much more leniency because you have other colours to show what black and white would not be able to show. HP5+ is a great film to start experimenting with and will show you why you should try shoot a roll every now and then, if not completely convert you to black and white for a couple months. Now this is a fun one. Cinestill takes motion picture cinema film (specifically Kodak Vision 3 500T for the Cinestill 800T) and converts it into usable photographic film and more importantly allows it to be developed with the C-41 process. This film is designed for shooting low light tungsten situations. Most film is daylight balanced which means they are made to work best with the temperature of natural light. This means photos using artificial light will tend to have an unflattering warm cast over the entire photo. Tungsten balanced films correct this by rendering cooler than usual, balancing out warmer light to look normal. Where to now? You’ve found your camera, you’ve picked your film and you’ve shot your shot. You’re going to have to find yourself a lab. This experience can go different ways depending on where you are based. Most major cities will have a lab or two and finding the right one can be hard; but with the addition of sending your film in to labs that offer that service and drop boxes readily available it can be an easy process. 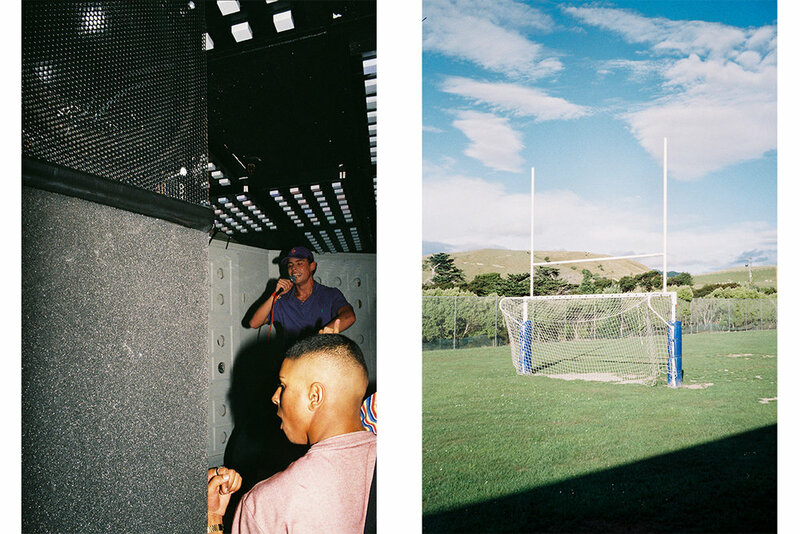 Reasonably new to the lab game is Splendid which is based in Newtown, Wellington. Splendid is a small “everything analogue” store. They sell cameras, film and even Chemistry so you can try developing film yourself. Why not give that a go? And when you figure out that you’re far too lazy for that you can give them a call because at the core of their store is their lab where they develop C-41, B&W and offers the option to send your film in. Based in Ellerslie, The Black and White Box is an Auckland film lab created by film photographers and is one of the most accessible film labs in the country. 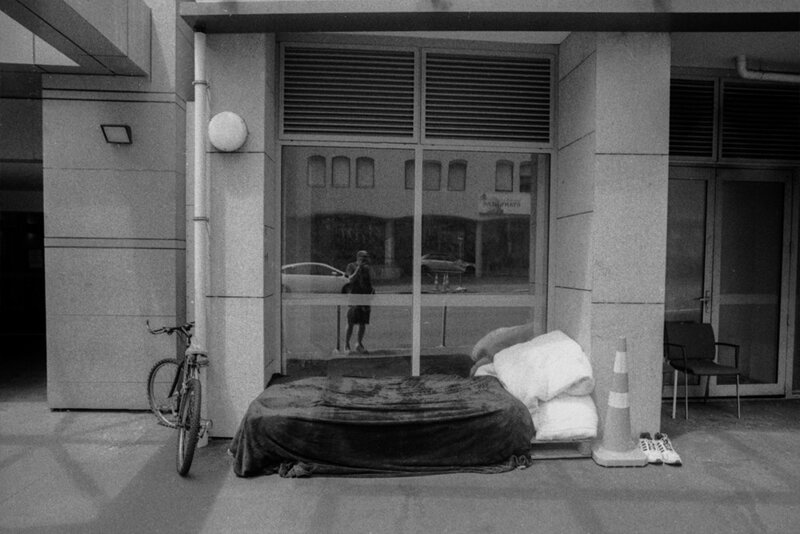 Developing C-41, B&W and E-6, they also offer the option of sending your film in from wherever you may be and also have 2 drop boxes in the Auckland Region and 1 in Hamilton. Getting your film developed and scanned can be as easy as walking down to their HQ in Ellerslie or as hard (if you consider this hard) as filling in a form, posting said form and film to their address and finding something to do while you wait. Founded in 2013, Melbourne lab Hillvale has been around and stood the test of time. Offering a great drop box service, having 8 boxes in Melbourne itself and 1 in Sydney, Hillvale has made sure to stay true to the community and their patrons. They are regularly throwing events, exhibitions and launching projects like the Flat Film Archive; a catalogue of flattened 35mm canisters, most of which are rare. There’s a reason this place has been open for nearly 6 years and there’s never been a better time than now to find out. Like this article? Please leave a comment below to tell us what you think and also let us know what’d you like to see us cover next in Guides.